Crying It Out: Can It Help Your Baby Sleep? Crying it out (CIO) is loaded with extreme opinions: going from cruel to the only way to help baby sleep well. With all babies and parents different, there is no unique answer. What counts is that you take YOUR decision for YOUR baby after considering all your options. Most parents find it very hard to hear their baby cry. Our instincts tell us we should comfort a crying baby. And still, try crying it out is the single most common advice I see on parenting forums online. Not to mention some pediatricians and sleep consultants. Why? Because it is so easy: you can advise to have baby cry it out for any baby in any situation, without any effort. At least, it's easy if you don't care about the possibly negative impact on baby and parents, or don't worry about the short term effects of the method. 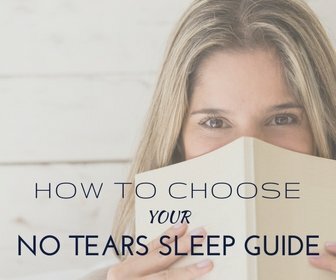 Alternatives to crying it out? Browse Heidi's no-tears solutions: gentle yet effective answers to any sleep challenge. Also more elaborate methods (ferber method, baby wise, controlled crying, sleep clinics ...) suggest sleep training through cry it out. These are often supported by pediatricians and many parents report success with them. 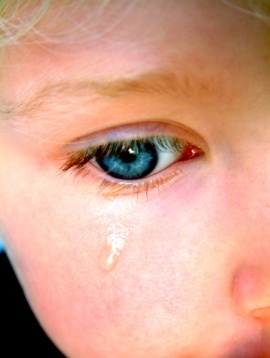 They differ in how long they let baby cry, and whether baby is left alone to cry or not. Apart from the possibly harmful effects on baby's physical and mental health as well as her parent's - traumatizing makes many babies sleep worse during and after a crying it out phase - an important practical problem with most cry it out methods is that it is mostly a short term solution. 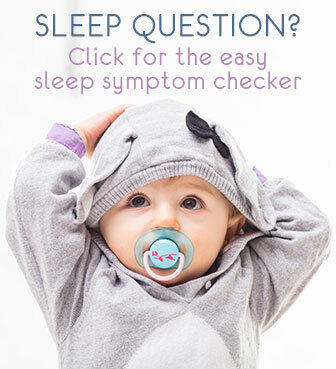 Any disruption - even a simple cold, a surge of baby separation anxiety, teething or a nightmare - is enough to stop her sleeping and can force you to go through the whole crying it out again. This can become a very serious sleep issue that may continue through childhood and even later on as an adult. I personally do not advise crying it out as I strongly believe it is not right for the majority of families and I experience daily that it is not necessary. There are always other ways to help a child sleep. The succesful techniques in No-Tears Self Soothing prove this nicely. These may require a bit more patience but are definitely worth it: being able to sleep well and have a positive attitude towards sleep is a valuable lesson your child will benefit from throughout life. There are so much more advantages of not letting your baby cry. To name just two: we know from research that a baby who is quickly soothed from crying in her first year, will cry less in her second year. Being comforted and feeling secure helps with bonding too, another very important development for baby to go through. Both the less crying and the bonding are protecting mom and dad too. Young moms are at risk of post natal depression (baby blues). Sleep deprivation is one risk factor, but a crying baby also influences mom's mood a lot. Being able to comfort her baby (without being made to feel guilty! ), makes a mom feel better. Bonding with baby has a positive effect on mom as much as it has on her baby. Of course, no need to judge any parent who takes the well-considered decision to use a cry it out method. Sleep deprivation, health concerns, family, work and social life are all factors of life that influence how you guide your child. You know your baby, family and yourself and that makes you the person who can decide what is best for your baby. As long as you have considered the safety guidelines, having your baby cry to make her sleep can be your choice. And in some situations, especially in older babies, it can be a shortcut to more sleep. Even if it may only be temporary, it can bring some very welcome relief to sleep deprived parents. Do check when cry it out is clearly disadvised and when it can work. Whichever your situation, if you're not convinced that cry it out is right for you, it's good to realize that there are always other ways to help your baby sleep. All tips and ideas on this site support a true no-tears approach that helps teach your baby to sleep well consistently, and happily.